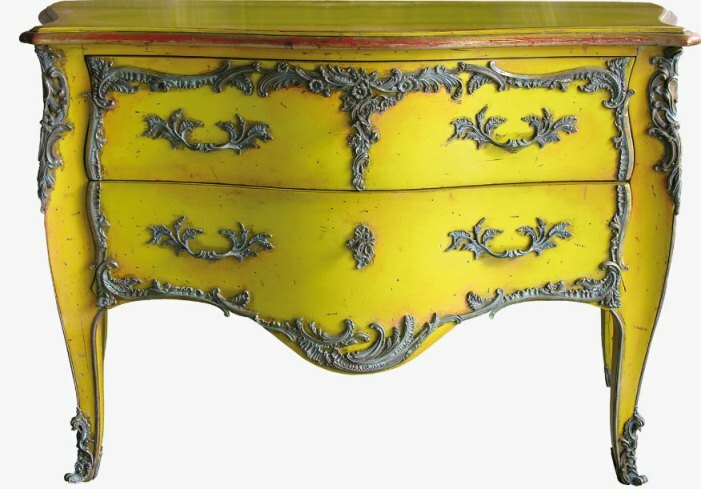 French Louis xv style chest of drawers painted with yellow patina and enriched with bronze in silver dark look , the chest has two drawers with brass hands .It is amazing piece and antiqued with special care of details so it looks like antique. I love to see this stylish yellow drawer which is so amazing and color that used to paint. The color provide a great effect of making furniture look beautiful and simple. Nice to read this post.